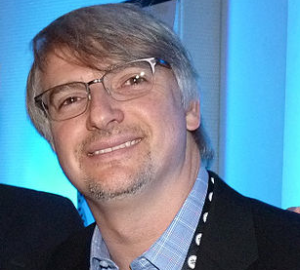 Glen Mazzara, executive producer and showrunner for AMC’s “The Walking Dead,” will speak on Tuesday, July 9, at 7 p.m. at East West Players’ David Henry Hwang Theatre, 120 Judge John Aiso St. in Little Tokyo. Passionate about both writing and mentoring, Mazzara works with CBS’ Writers Mentoring Program, the Writers Guild Showrunner Training Program, Writers Guild Diversity Committee and Writers on the Verge, and teaches classes and seminars at colleges across the country, including UCLA, USC, Emerson College and Loyola Marymount University. This event is free to the Alliance of Creative Talent Services (ACTS) members; there is a $10 fee for non-ACTS members. To RSVP, email Marilyn Tokuda directly at [email protected] with “Glen Mazzara” on the subject line. ACTS members are asked to put “ACTS Member” in the email. There is parking across the street at the Aiso Parking Garage. The fee is $3 after 5 p.m. Note that the lot closes promptly at 12 midnight on the day of this event.